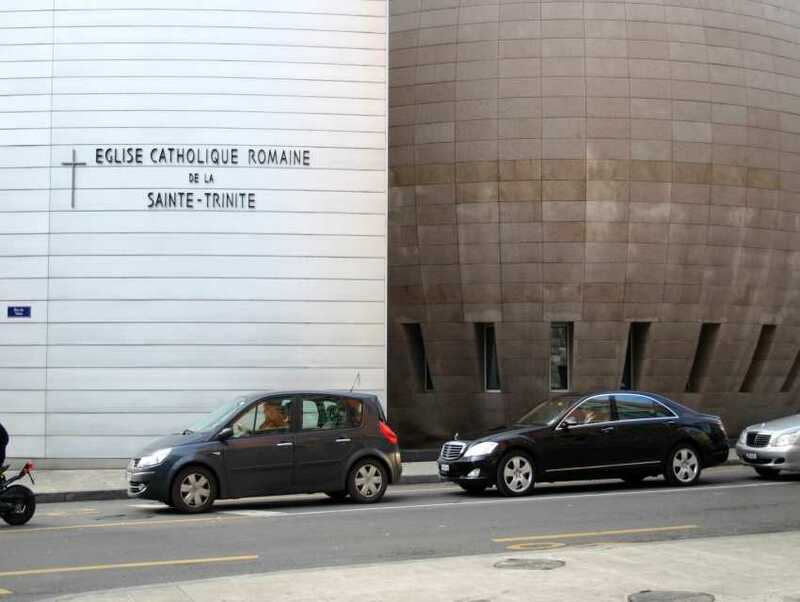 The Holy Trinity Church is situated on one of Geneva's principal streets, the Rue du Mont Blanc, half-way between the railway station and the lake. It looks just like a typical parish church you might find in a 'British' village. There have been Anglicans in Geneva since the middle of the 16th century, when fear of persecution caused Protestants to flee to Europe soon after Queen Mary came to the throne in England. But it was only in the early 1850s that this church was built on part of the old Geneva city wall. The building was last renovated in the mid-1980s.